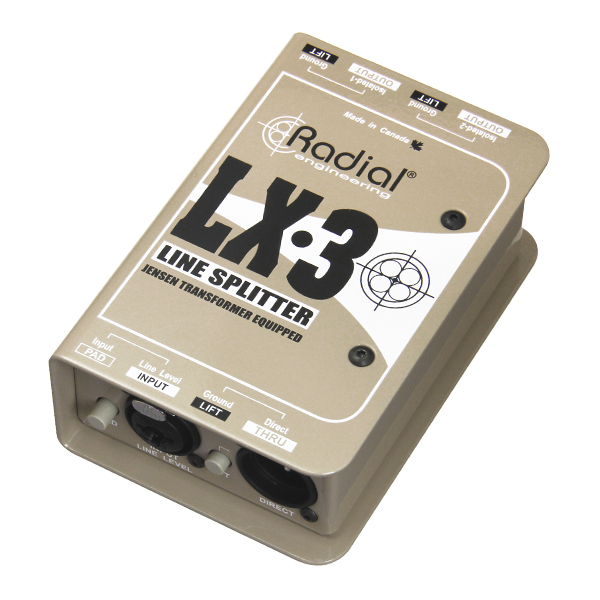 The Radial LX8™ is an eight channel passive line-level splitter designed to send multiple channels to three destinations at once, while providing transformer isolation and eliminating hum and buzz caused by ground loops. 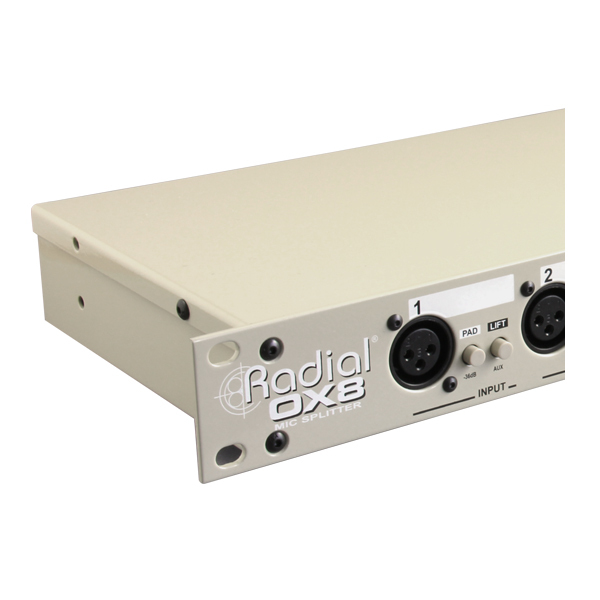 The Radial LX8 is designed specifically to manage balanced signal splitting in professional audio systems. 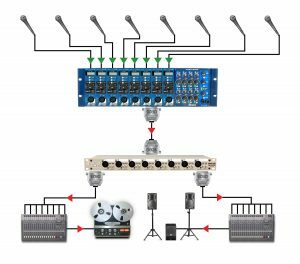 The single rack space design begins with a 100% passive circuit which means it does not require any power to operate. 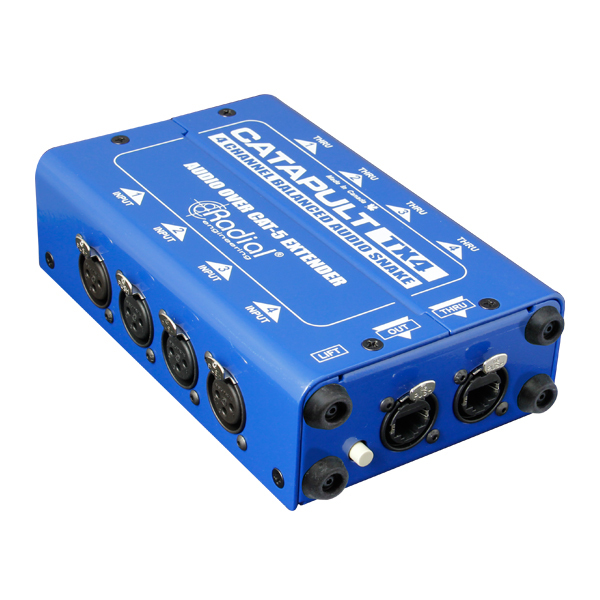 Inside, each of the eight channels is equipped with a premium Jensen® JT-123-SLPC transformer that is able to handle transients in excess of +26dB at all frequencies right down to 20Hz without audible distortion. This results in an accurate signal transfer with minimal phase shift or distortion. 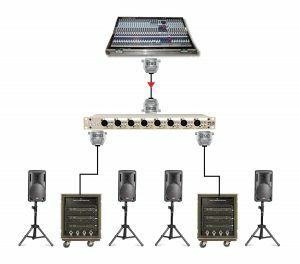 When used in larger systems, you benefit from significantly lower noise, making the LX8 the best choice for any demanding multi-channel audio system. 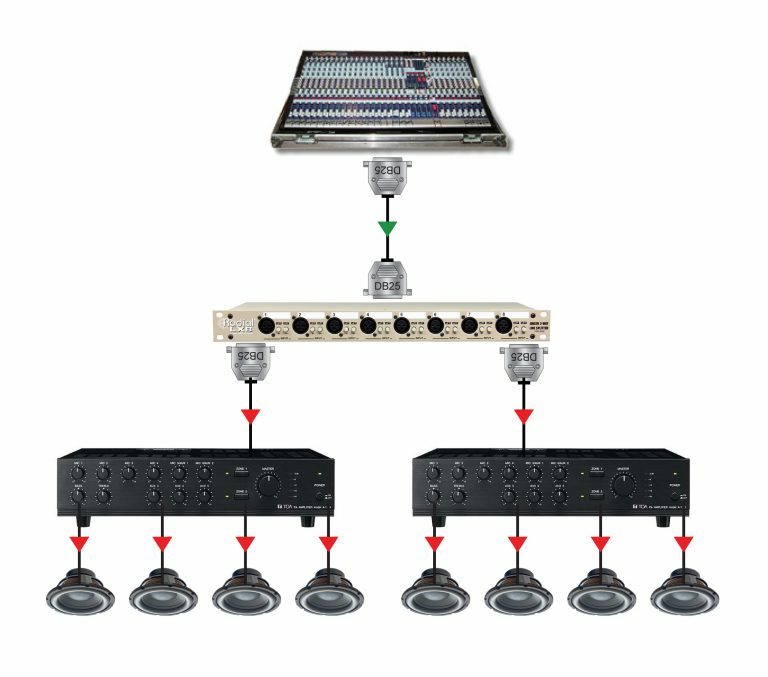 Recording live using high quality preamps delivers the best results. 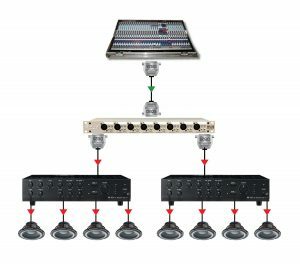 Connect your preamps to the LX8 and split the signal to the recorder and the PA using the isolation to eliminate hum & buzz caused by ground loops. 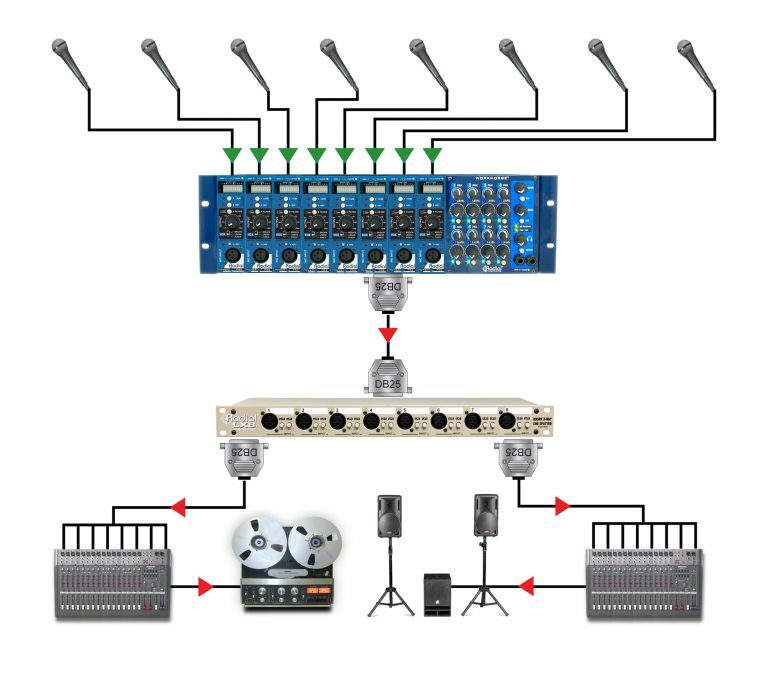 Running audio around various environments such as large venues, multi-function rooms or broadcast facilities can often lead to noise polluting the audio system. The LX8 eliminates noise problems due to ground loops. 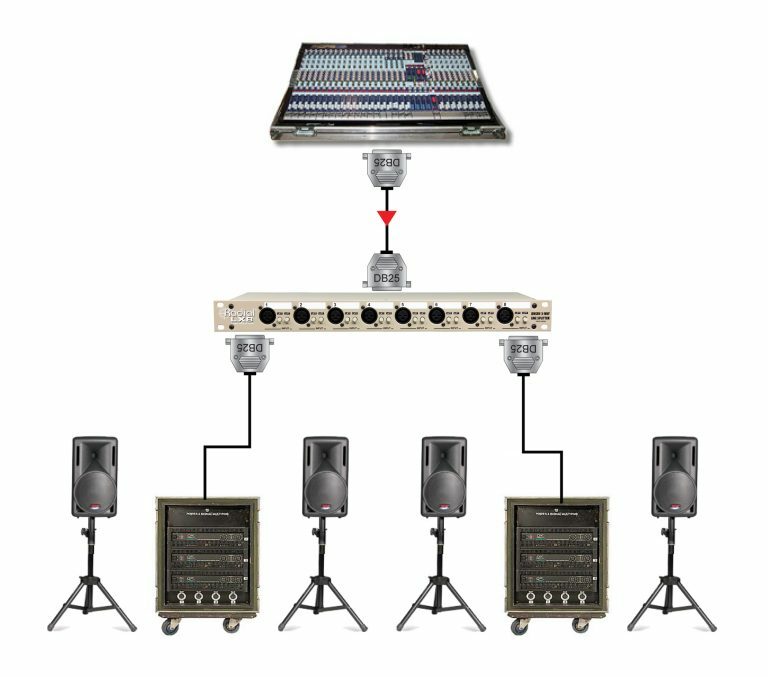 In larger installations, running audio to multiple destinations can cause havoc with noise due to uncertain power conditions. 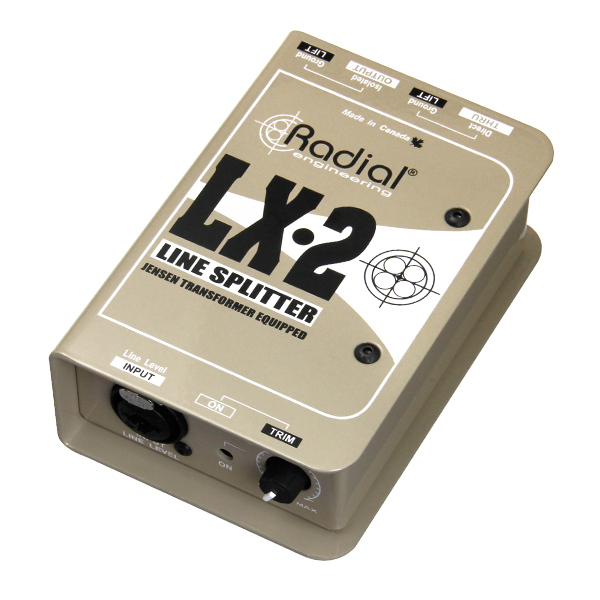 The LX8 isolates the second output to eliminate ground loops, reducing system set-up problems.